The date Laurin Long and Michael Bank chose was special and changing it felt like giving up, so they were defiant. Laurin Long died on October 21, 2018. She was 30. She always tried to find reasons to smile and enjoy life even on her worst days, her husband told TODAY this week as their wedding anniversary approached. This is their love story. 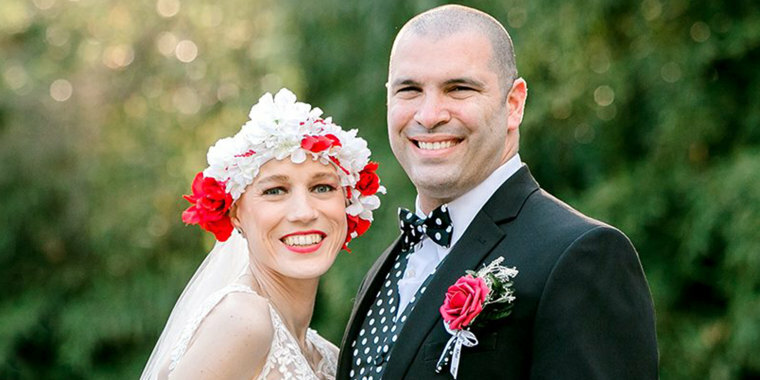 Just a few months before, doctors warned she might need to be on oxygen or not be able to walk down the aisle at all as her illness — vanquished for more than two years — suddenly returned just as the couple was planning their life together. He sent her a message and they had a coffee date the next day. It was a match: They both loved travel and adventure. And there was a lot to celebrate: Tests showed Long had no evidence of disease. Long, a sunny presence who calls herself the “polka dot queen” because polka dots make her happy, was in high spirits.